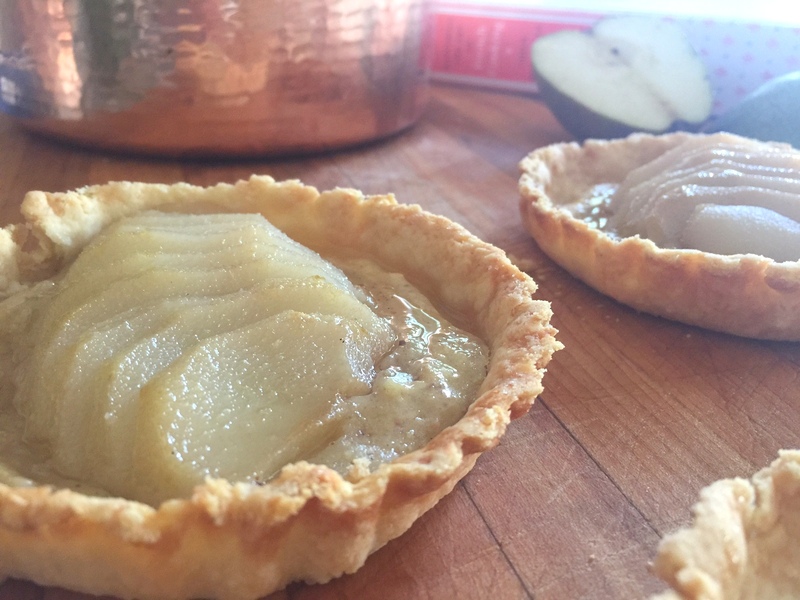 Tarts are one of my favorite desserts, and as it is nearing the end of summer, one of my favorite fruits is coming into season: the pear. 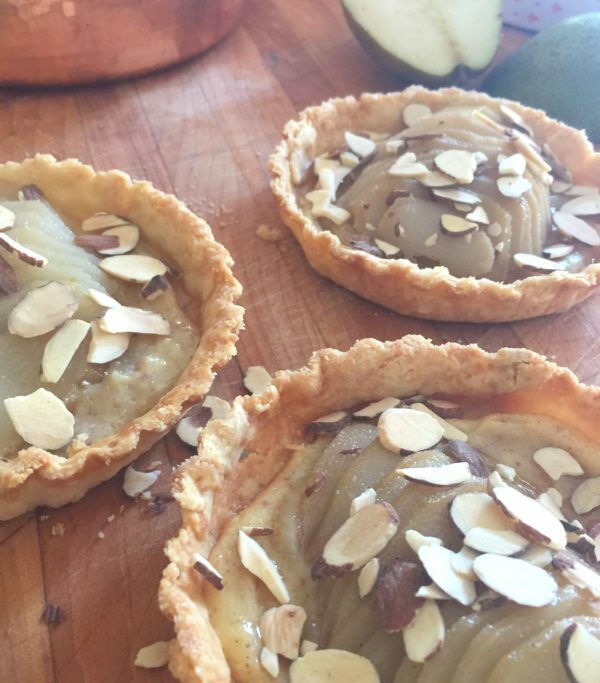 Last year I shared this pear dessert recipe and my affection became even more heightened for this lovely fruit. The subtle sweet meat of the pear is comforting and not demanding or competitive with anything else. 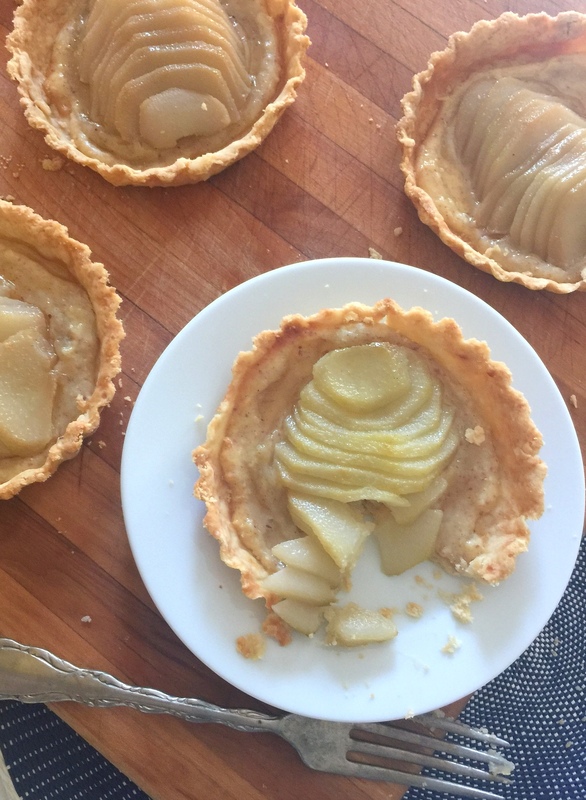 The pear tends to be something all ages enjoy, and when you work with Julia Child’s magic as well as Michel Roux Jr.‘s on a classic Tarte aux Poires avec Amandes, you have very little to worry about. I initially began with Julia Child’s recipe which includes Bordeaux in the poaching mixture for the pears as well as the jelly. 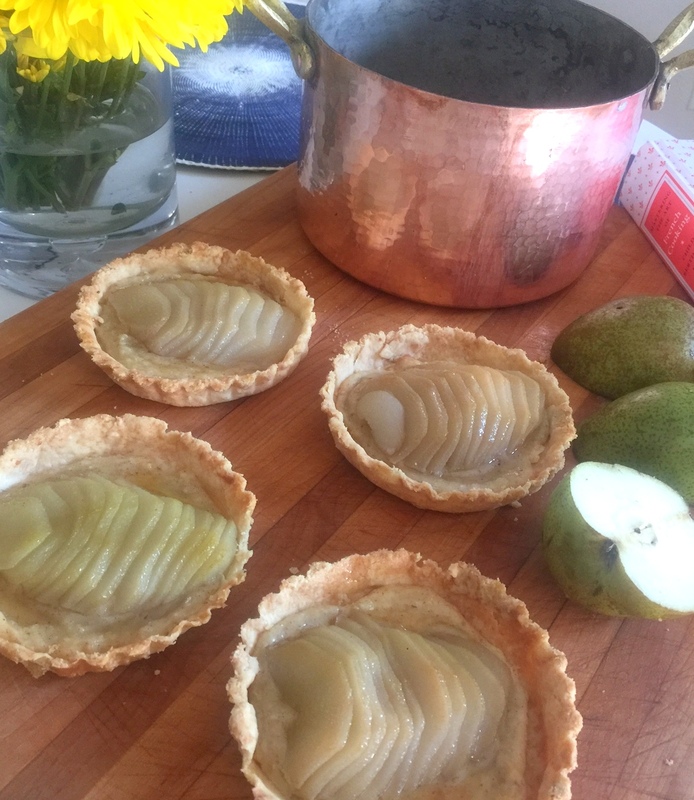 However, I wanted to simplify the process, and turned to Michel Roux Jr.’s recipe which is where I followed his poaching method for the pears. Julia’s frangipane is magnificent, and do not be intimidated by the fancy, (albeit quite titilating on the tongue and fun to say) term “frangipane”. Originating in Italy, it translates to “that breaks the bread”. Frangipane has become a classic pastry filling in France and is often associated with Christmas (it is rich and decadent, and certainly a special treat). I’ve included images of the process with the recipe below, and I must say, it was a simple recipe to make. The presentation of the pears creates an air of sophistication that really is quite easy to produce. Have fun and enjoy this simply luxurious recipe. 4 pears poached See below for instructions on poaching. On the stovetop in a small sauce pan, bring the cup of milk to a boil. While waiting for it to boil, in a mixing bowl, whisk together the egg and egg yolk, gradually add the sugar until a pale yellow color is seen and forms a ribbon (as Julia Child calls it) when you lift the whisk from the mixture. Beat in the flour. Then add the boiled milk, slowly while stirring to mix. Pour the mixture into a medium sauce pan and place over medium heat. Continue to slowly whip and make sure you reach the bottom of the pan so nothing burns or scalds. You will feel the mixture begin to coagulate into lumps: this is good; keep stirring vigorously until it smooths and thickens, becoming similar to a thick paste. Then, turn down to low and with a wooden spoon for 2 to 3 minutes stir making to cook thoroughly the flour. Remove from the heat. Once off of the heat, add the butter and incorporate completely. Then add the vanilla and almond extract as well as the finely crushed nuts of choice and the kirsch. 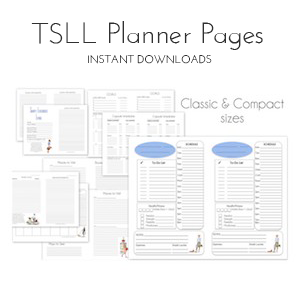 You can use it immediately or cover with plastic wrap and place in the refrigerator for up to a week until you are ready to use it. In a food processor or with a pastry cutter, mix the flour, butter, sugar and salt until resembling cornmeal. Add the water gradually while mixing to get the right consistency. You may need less or more than on the recipe depending upon the humidity in the kitchen. Roll in a ball and flatten into a disk. Wrap in plastic wrap and chill for 30 minutes. 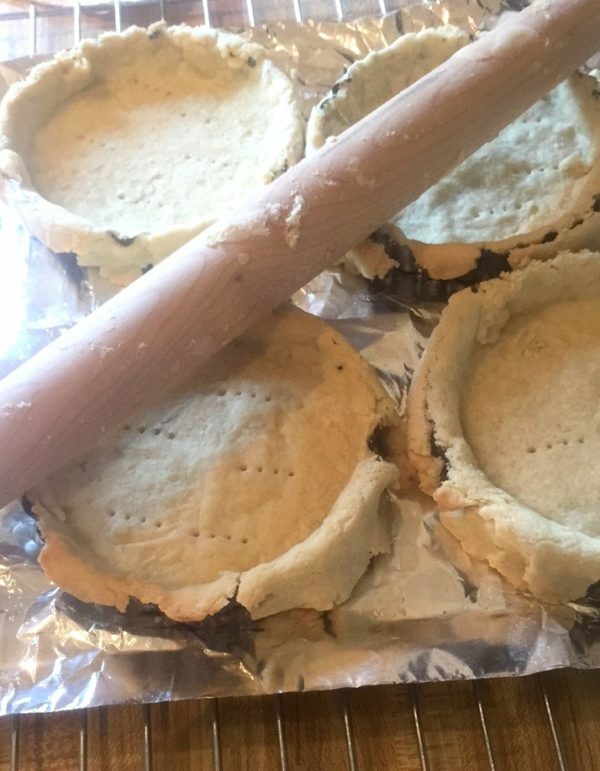 Roll out into four small circles for tartlettes or one large tart using flour and sugar to prevent from sticking to the board. Place the dough into a removable bottom tart pan. Line each tart with parchment paper or tin foil and place pie weights or beans on top for the crust to keep its form. Place in the oven for 5-6 minutes. 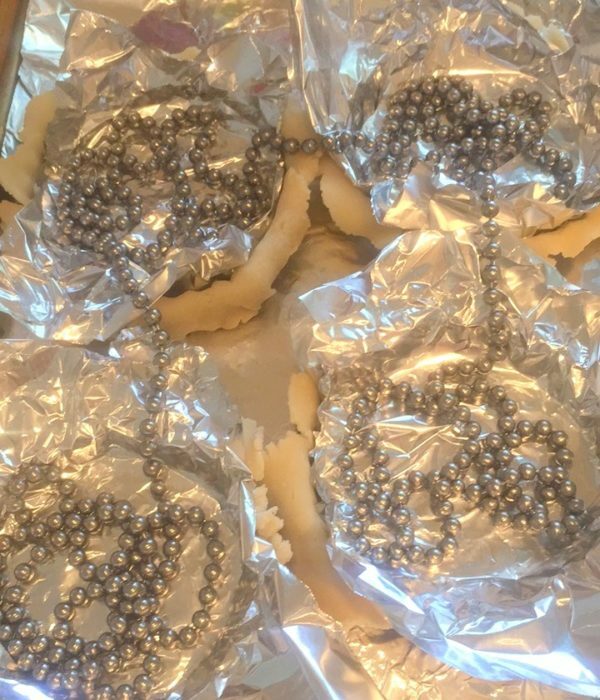 Remove from the oven and remove the pie weights and parchment paper/tin foil. 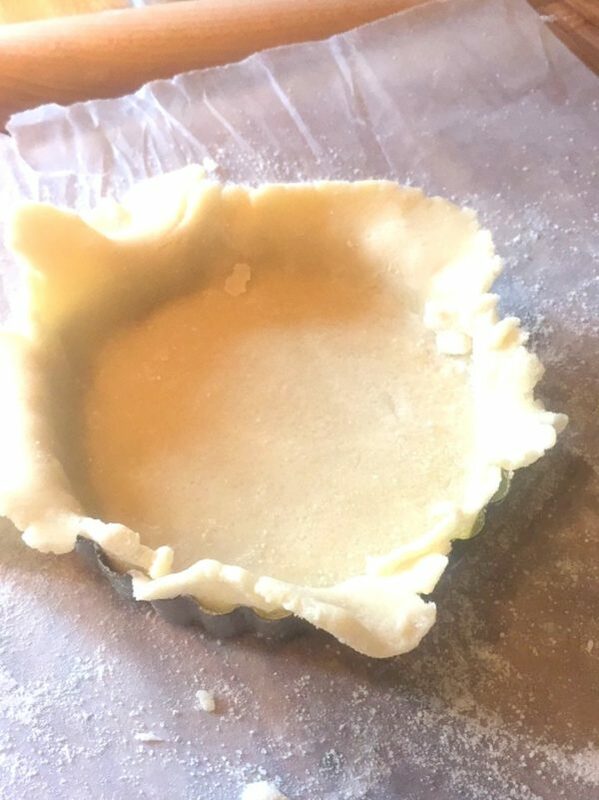 Prick the tart crust with a fork to prevent air pockets from rising. 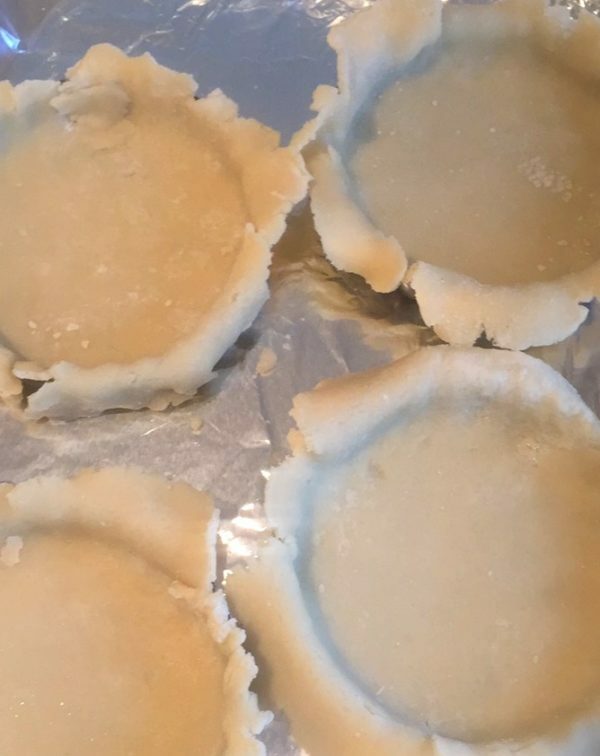 Return the tart shells to the oven and cook for 10 more minutes. Remove from the oven and finish the crust by rolling your rolling pin over the tops of the tart pans. This will remove the excess unfinished look and create a neat, clean edge. Slice in half and peel each pear, removing the core and the stem. 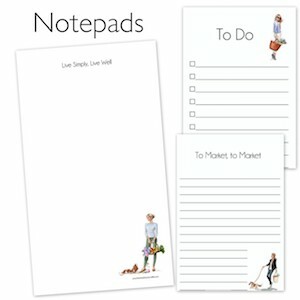 Do so as neatly as possible. In a large pot, add water, enough to submerge eight pear halves. Add the cinnamon stick, the vanilla pod and the sugar. Bring to boil. Once the water is boiling, add the pears and remove to simmer. Simmer for 20 minutes. Remove the pears from the simmering water and place on a paper towel lined plate to dry. You can poach the pears days in advance. 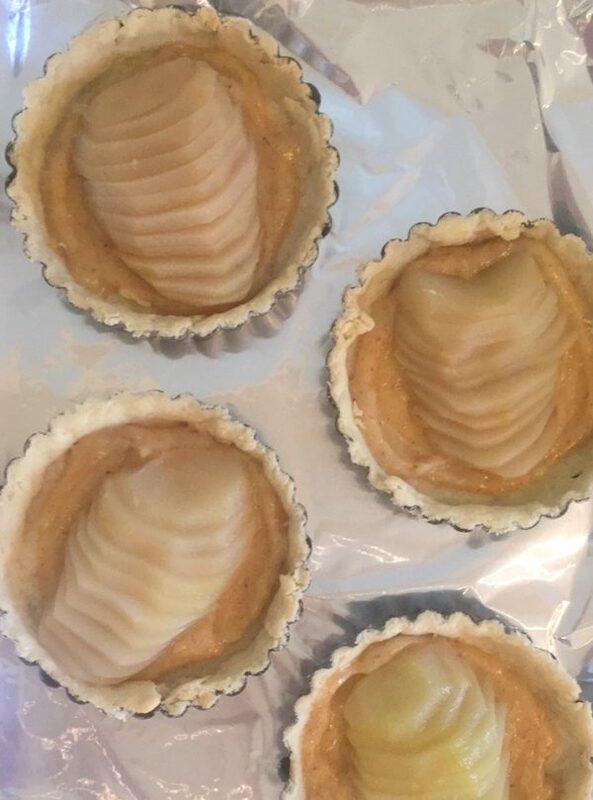 In a blind baked pastry shell, add a layer of frangipane to each of the tartlet shells or the entire large shell. Spread to the corners of the shell. 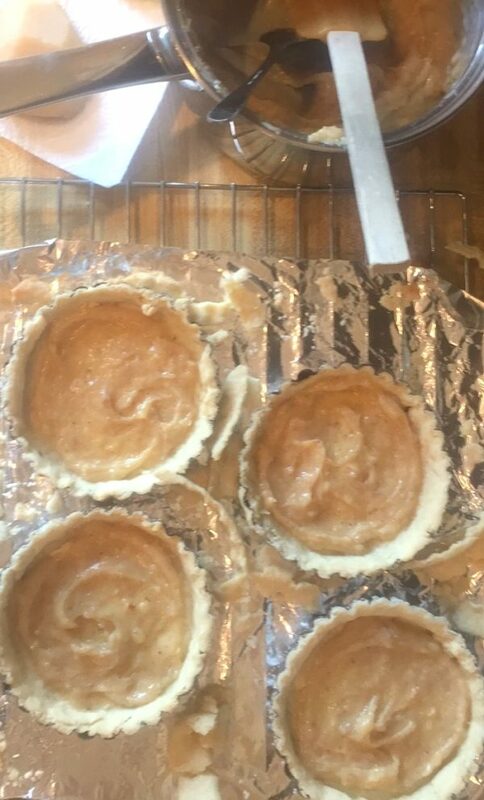 For each tartlet shell, I added about three tablespoons of Frangipane. Carefully cut each pear at a slight bias in narrow slices horizontally from top to bottom. However, you can have fun with this and cut them as you would like (or not cut them at all). 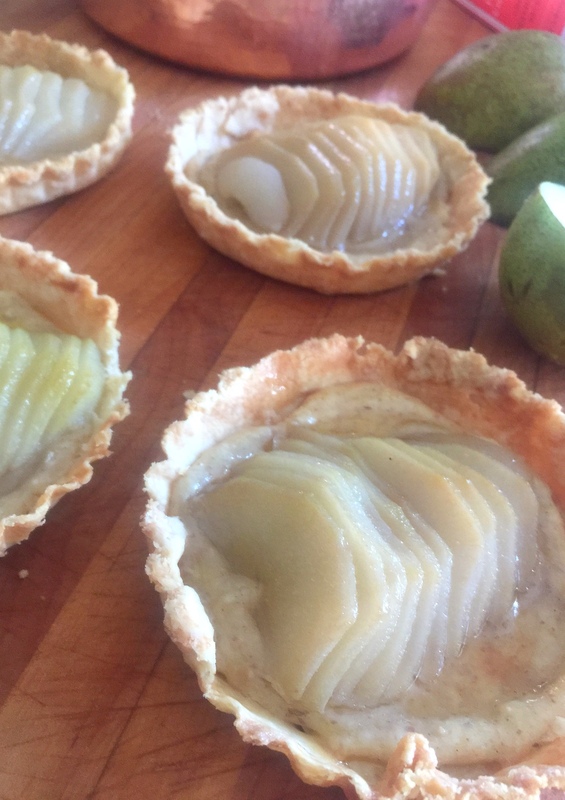 Place a single sliced pear on top of the frangipane of each tartlet or in the large tart, arrange all 8 halves (you may only need 6) as you prefer. Bake in the oven 30-40 minutes (tartlets only needed 30 minutes). I would check either (large or small tarts) at 30 minutes. Look for toasted brown crust. Remove from the oven and from the tart pans. Top with the apricot jam spread and slices of almonds. Enjoy warm with a hot cup of tea or coffee. Thank you so much for this wonderful week Shannon. 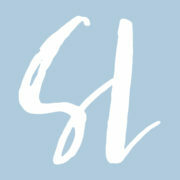 All of the posts have been eagerly anticipated! The tarte aux poivres et amande are definitely on the to do list. Best wishes from the UK. 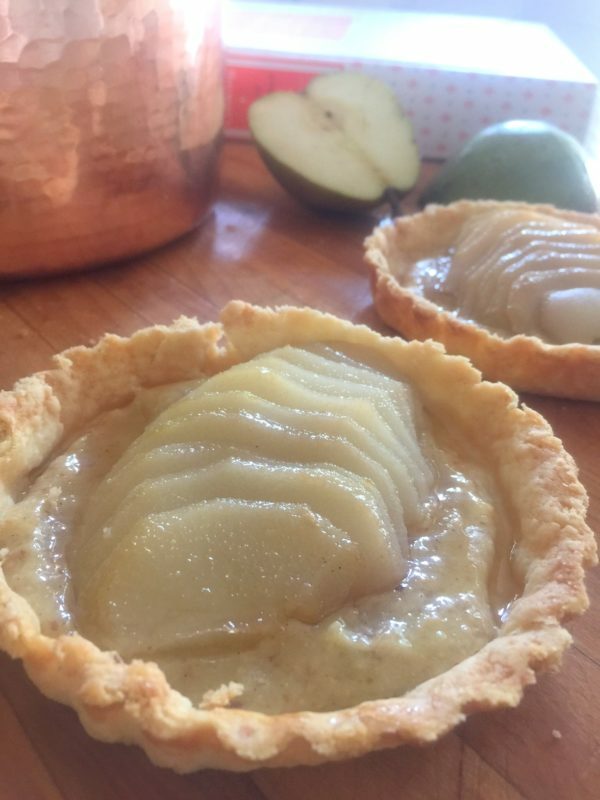 I love tarts AND pears, too! I can’t wait to try this recipe, it looks deilghtful. Merci, Shannon! This looks delicious. There are no eggs in the frangipane ingredients list?